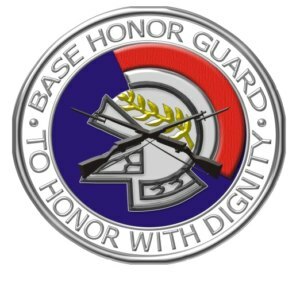 Please call ahead as hours fluctuate due to details. The Knights of Honor are comprised of 25 Active Duty Air Force members, stationed at Moody Air Force Base, Georgia. 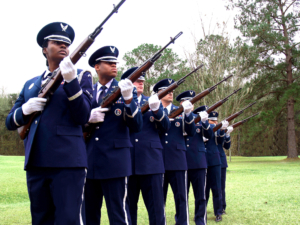 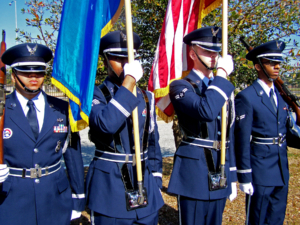 The Honor Guard is a 23d Wing Program designed to primarily satisfy a congressionally mandated military funeral honors requirement to deceased Air Force and Army Air Corps veterans, retirees and Active Duty members throughout 51 counties within southern Georgia and northern Florida. In addition, the Honor Guard supports a wide variety of base and community functions including, but not limited to, change of commands, retirement ceremonies and other patriotic events.